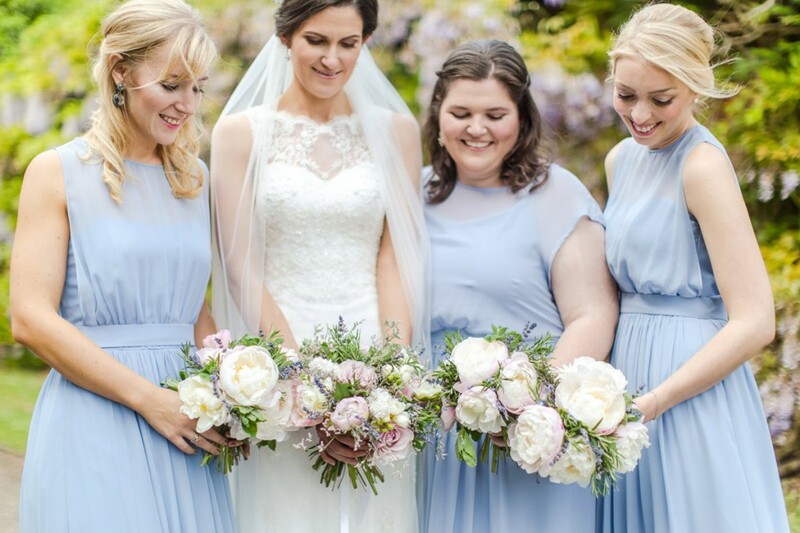 Tom and Ali’s wedding at Nonsuch Mansion was truly magical. Nonsuch Mansion is situated in the grounds of Nonsuch Park, the site of one of Henry VIII’s favourite palaces. 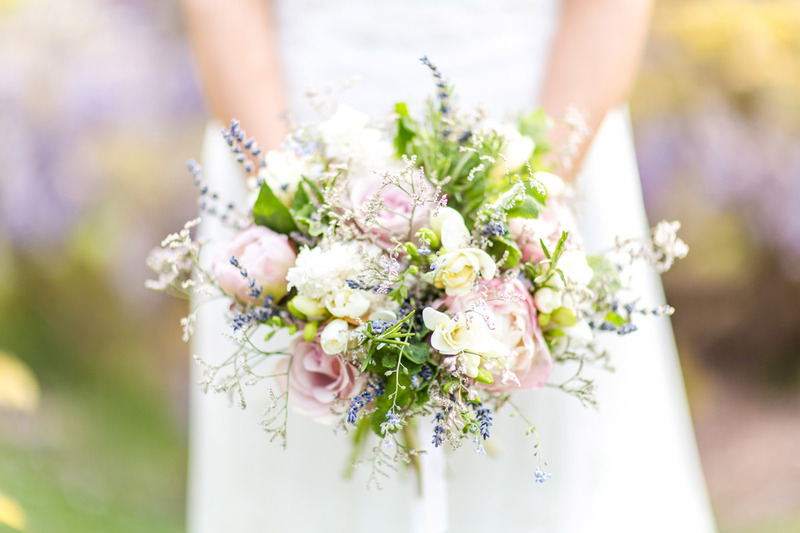 The wedding flowers were informal with a touch of the classic – the bridal bouquet, pale pink peonies with antique pink roses, last of the season forget-me-nots and Limonium. 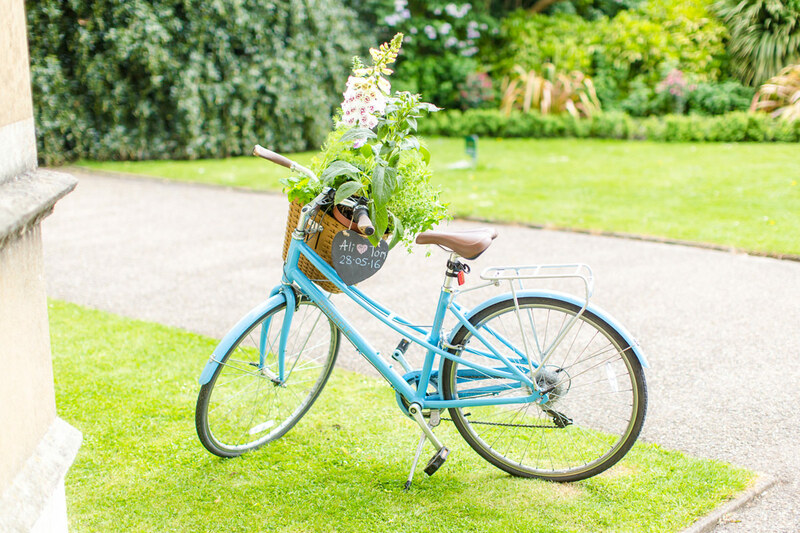 A bicycle basket overflowed with pots of herbs and foxgloves and the mantelpiece was filled with pots of foxgloves, Campanula, Veronica and lupins. 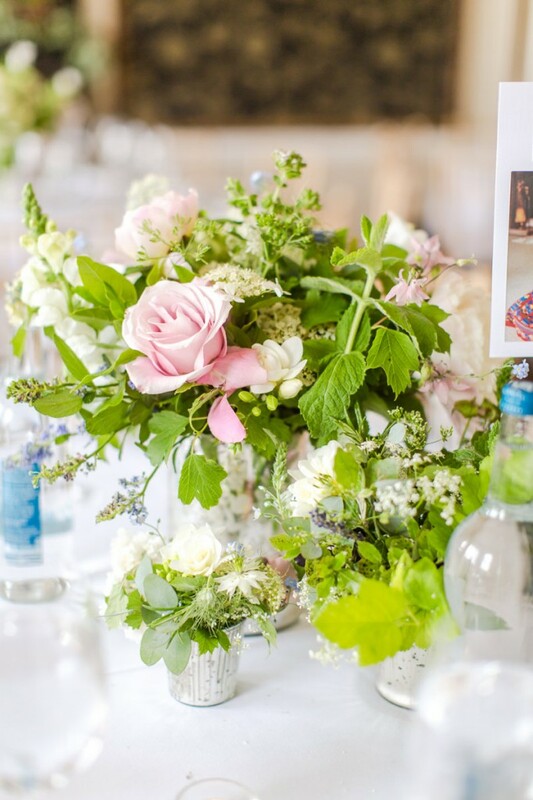 Each table had three cracked silver candle votives of various sizes filled with Viburnum, mint, peony, forget-me-nots, rose, Nigella, Campanula and snapdragons. 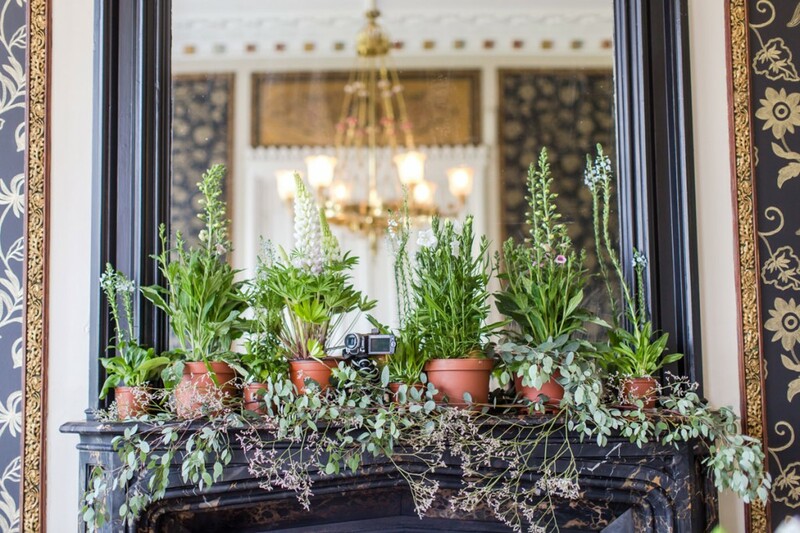 A wedding that embraced the wealth of plants and flowers available in late spring/early summer.